Gallery 102 is proud to present The Vulnerability of Seeking Intimacy, a solo exhibition of photographer Paolo Morales’s work as part of the 2017 Summer Solo Series. Morales presents two bodies of work "These Days I Feel Like a Snail Without a Shell" and "Palm Lines." The title of "Snail Without a Shell" is derived from Haruki Murakami's 1992 novel South of the Border, West of the Sun. 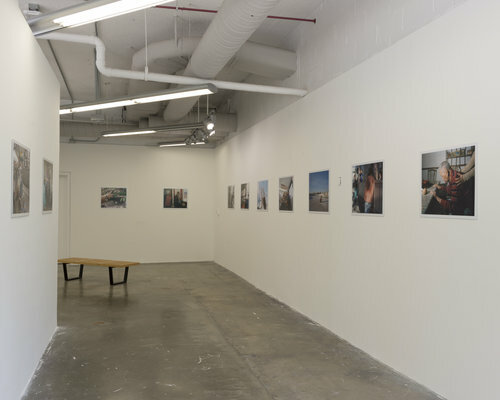 The phrase illustrates Morales's photographic process in which he captures his subjects in moments of dislocation, disconnection, and vulnerability. Morales's second series "Palm Lines" came about in the summer of 2015 when he became interested in the notion of palm reading, and the idea that one can map out a life through decoding the lines of the hand. The serial format by which Morales photographs the hands underlines the significance of the palm as a decipherable symbol.